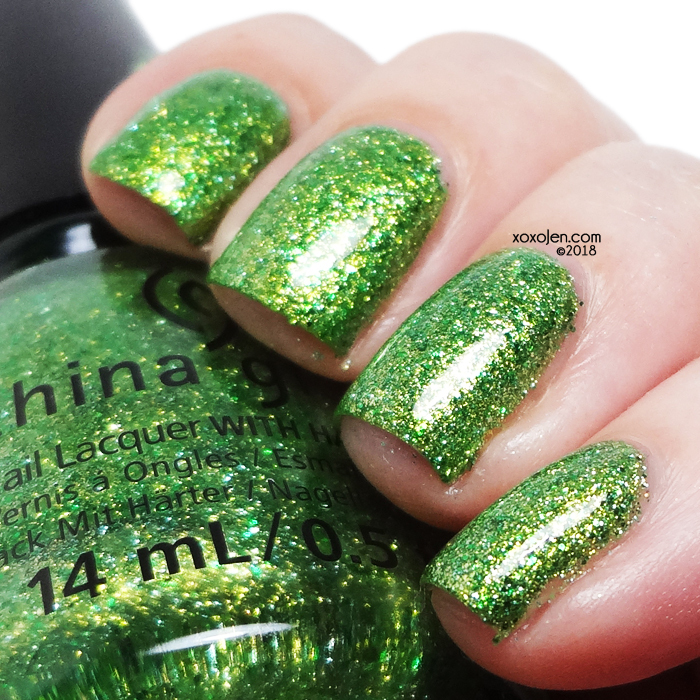 I was asked by China Glaze to review their latest collection, The Grinch. I'm excited for the opportunity to share the polishes with you because of the variety of finish and color. There is bound to be something here that you'll love! 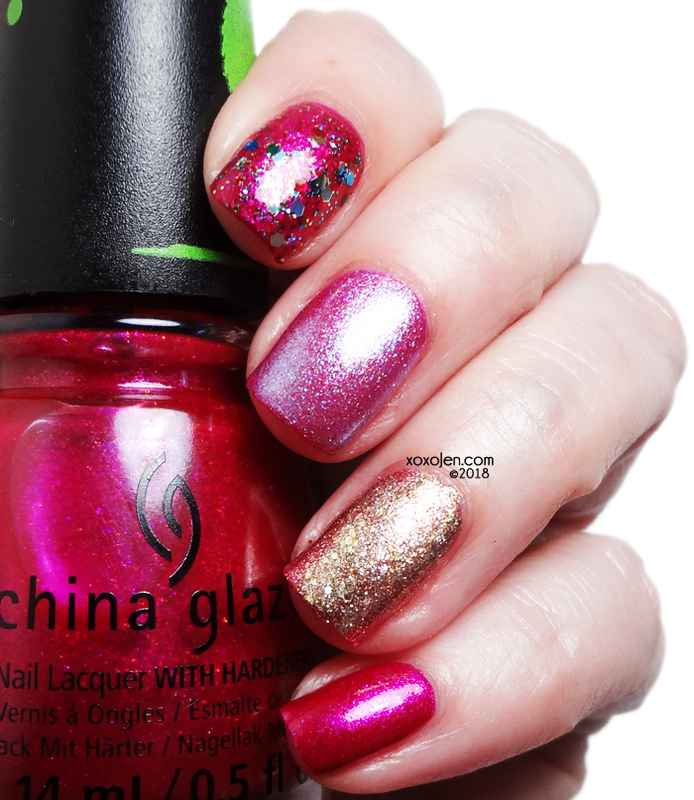 First, I want to share the box set that China Glaze sent to me. It's a huge box with foam padding that each polish and nail set fits into. I took a closer shot of the nails since I do not wear enhancements. I won't be reviewing those but wanted to share what they look like. The nail art on them is fun and is sure to please! 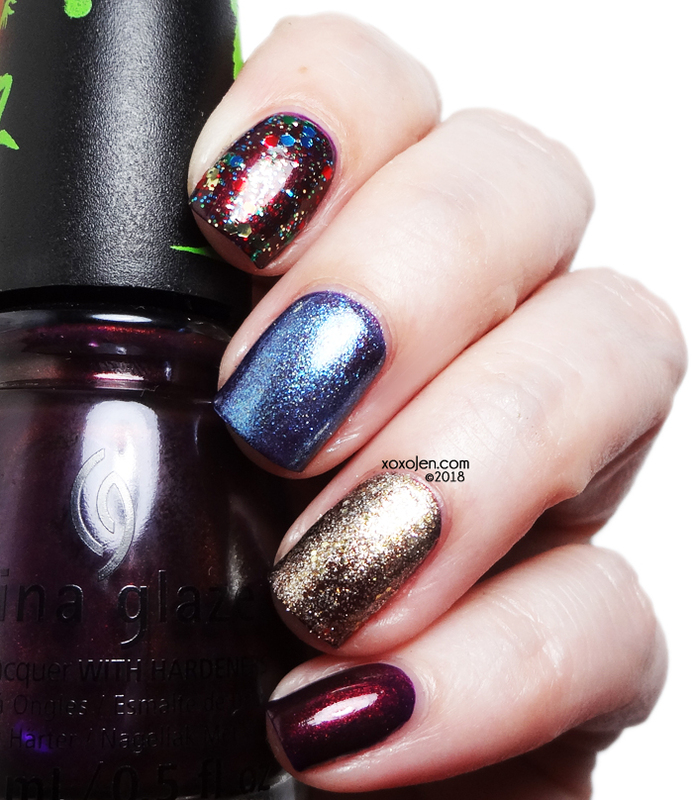 This also shows the two bottles of each of the topper polishes as well. 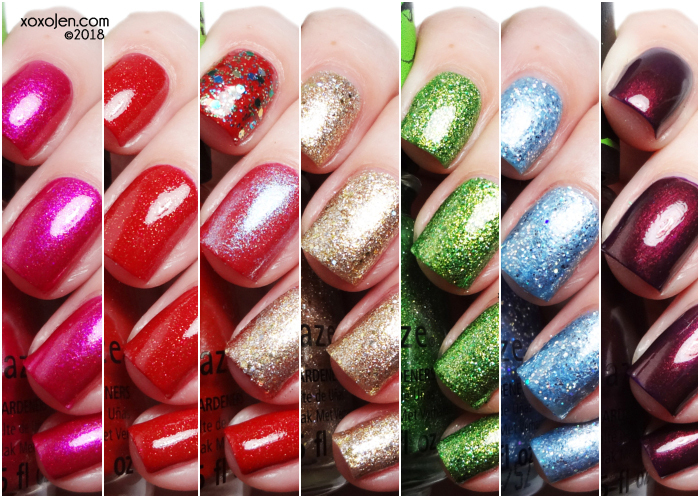 There are two topper type polishes in this collection, so I've shown them in one coat each over several of the other shades in the collection. The rainbow multi-glitter topper is called Resting Grinch Face and the iridescent sparkling topper is called Lukewarm Wishes. Both of them are beautiful and go well with this whole collection. I've also shown the gold micro-glitter polish called Merry Whatever, but its quite opaque and not really a topper style polish. 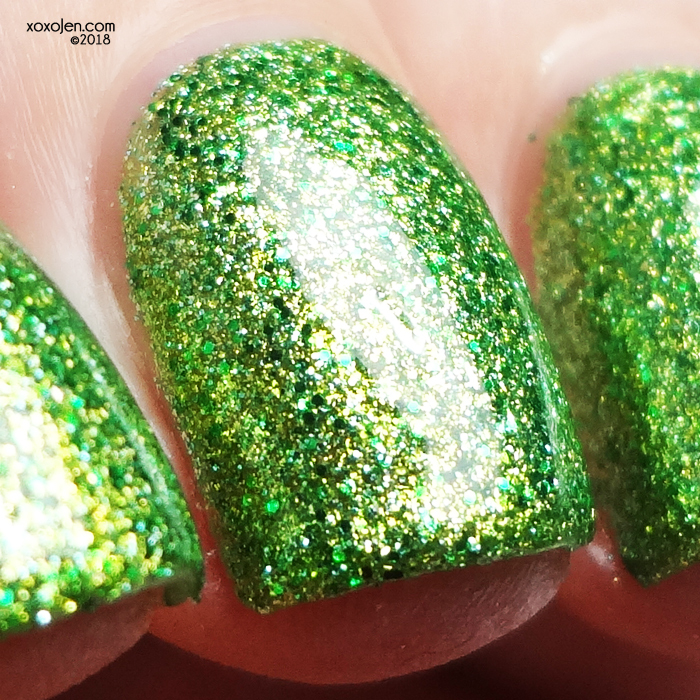 A very sparkly lime green microglitter, barely noticeable texture. Shown is 2 coats with topcoat. 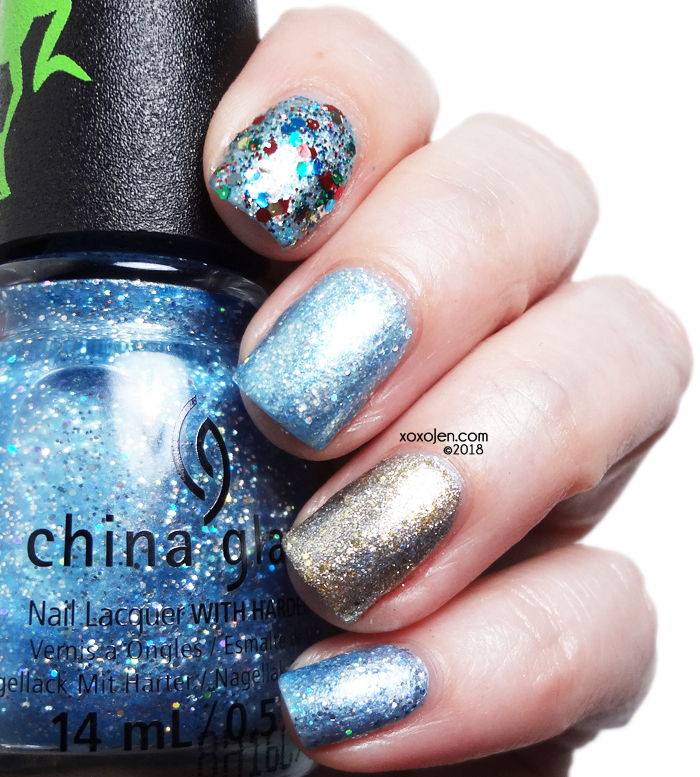 A sky blue frosty base packed with holo glitter. 2 coats shown with topcoat. 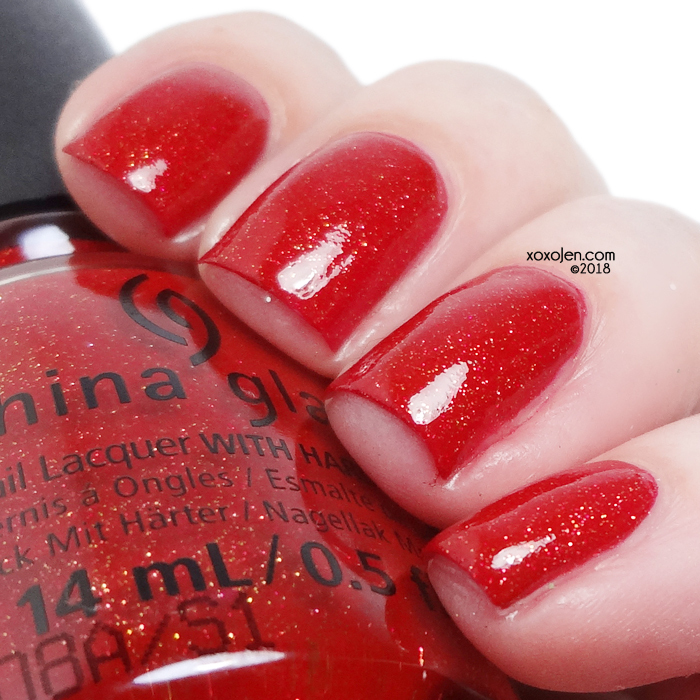 I was excited when I first saw this polish in the bottle because I thought it was a jelly base like Dorothy Who? It's definitely not a jelly, but a frost. 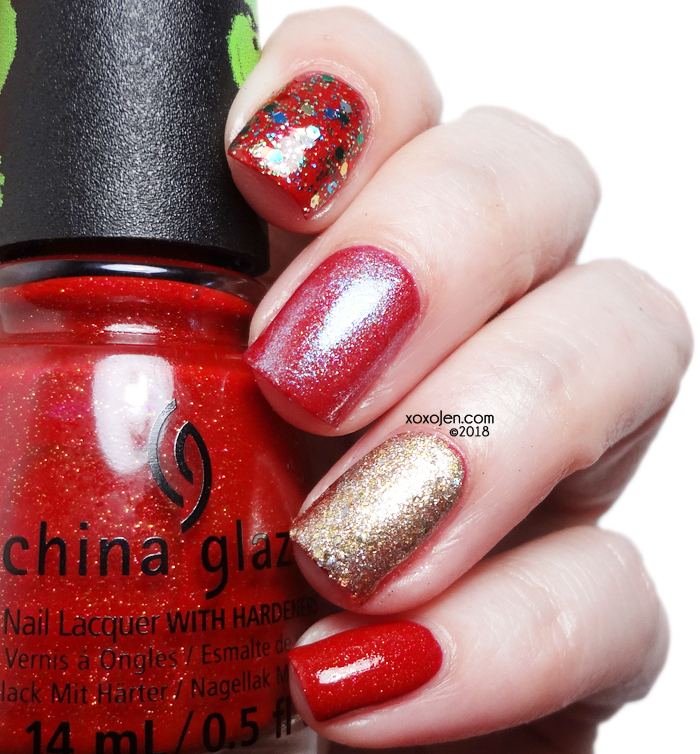 Tomato red cream with pin pricks of gold glitter. 2 coats with topcoat shown. 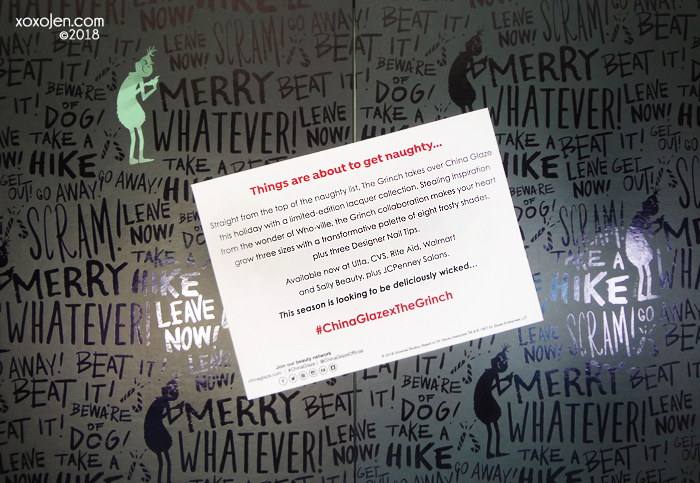 Akin to Grinchworthy, only a soft golden shade. 2 coats shown with topcoat; although this one is quite opaque in one coat and could be worn that way for a quick mani. 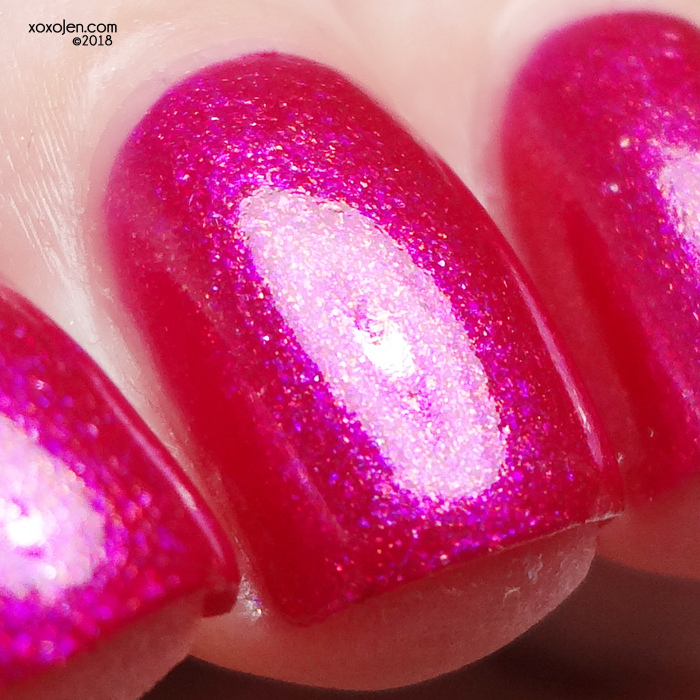 Vibrant hot pink loaded with shimmer. I really love this finish and shade. It's rich and has depth. 2 coats with topcoat shown. 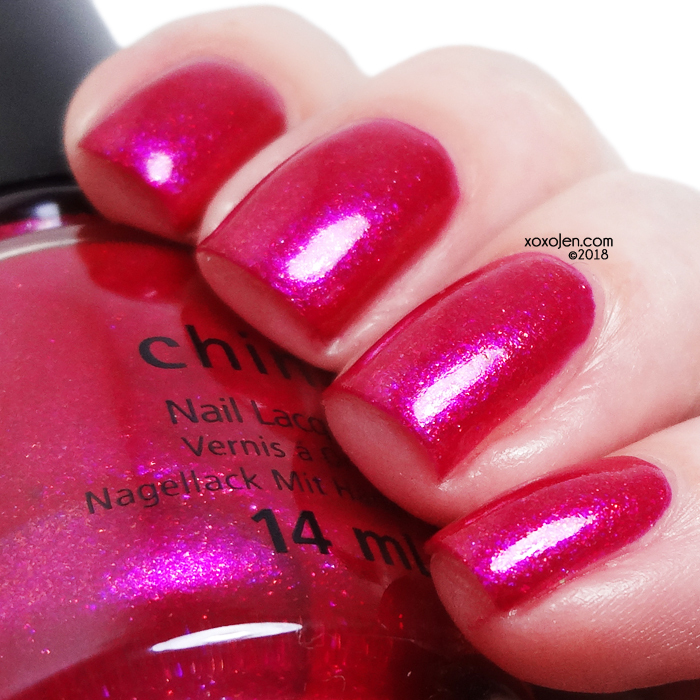 A purple jelly with red shimmer and my favorite of the collection. It reminds me somewhat of Clarins 230, but without the green shift. 2 coats with topcoat shown. The formula for all of these was good, fluid and consistent except for Deliciously Wicked. I found it to be a bit on the thick side, and I think it's because of all the shimmer and glitter in it. A few drops of thinner would make it more fluid. 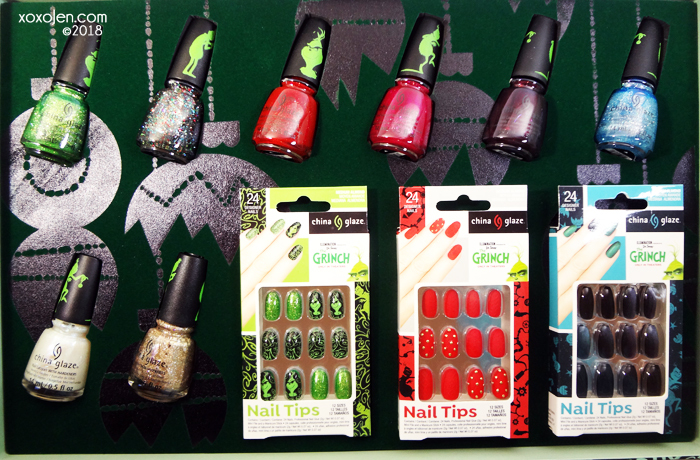 I enjoyed reviewing and swatching the China Glaze Grinch Collection, and I look forward to building a new relationship with China Glaze. You can find them at the links below, as well as beauty supply stores.